San Francisco, June 23, 2011 – The Board of Supervisors will hold a public hearing on the ethics of the Department of Public Health and the Lennar Corp. related to the department’s role regulating environmental health impacts Thursday, June 23, at 1 p.m. in City Hall, Room 263. The hearing was called in response to a community report released by Bayview Hunters Point community organizations in the SLAM Coalition earlier this spring exposing email communication the Health Department and Lennar in an effort to conceal information about adverse health impacts. The report details a series of emails since 2006 between EPA, the San Francisco Department of Public Health (SFDPH) and Lennar that reveal a manipulation of facts in order to conceal information regarding asbestos exposure from construction activities at the Shipyard and present false claims in support of Lennar’s redevelopment plan. The emails were obtained through a Freedom of Information Act request. More than 30 environmental justice organizations from around the country signed a letter to Environmental Protection Agency Director Lisa Jackson calling for the removal of EPA Region 9 Remedial Project Manager of the Hunters Point Naval Shipyard Mark Ripperda and any other EPA employee found to be involved in the cover-up from their roles in the project. 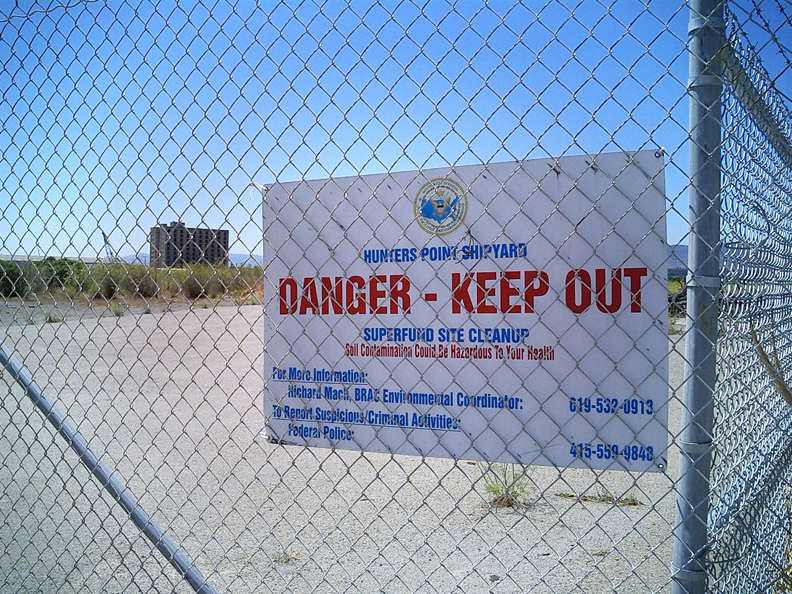 Subsequently, in May 2011, Mark Ripperda was removed from his position as the remedial manager of the Hunters Point Project and transferred to a different position in the EPA. However, response around the investigation and accountability from the DPH has moved much slower. The internal investigation was initiated within the department two months after the release of the report. Bayview Hunters Point community organizations are demanding accountability from DPH and are specifically calling for the removal of Environmental Engineer Amy Brownell and any other DPH employee found to be involved in the coverup from their roles in the Hunters Point Naval Shipyard project. Bavview community residents have raised concerns on several occasions about DPH Environmental Engineer Amy Brownell’s bias and inaction as a regulator. In December 2009, the Hunters Point Shipyard Restoration Advisory Board (RAB) held a formal vote of no confidence in Brownell in her capacity advising the board. Rather than taking these concerns seriously, the Navy disbanded the RAB entirely. The question of regulator accountability is heightened by the role that the Department of Health will play regulating harmful human health impacts that could result from Lennar’s proposed mega-development on top of the radiologically contaminated Hunters Point Superfund Site. The Hunters Point Shipyard served as a working naval base from 1941 to 1974. The site included the Naval Radiological Defense Laboratory, which was involved in the decontamination of ships exposed to atomic weapons testing and conducted experiments on radiological decontamination and the effects of radiation on living organisms and materials. The Shipyard was later leased to the Triple A Machine Shop, a company that was eventually charged with criminal violations for the illegal storage and disposal of hazardous waste on the property. In 1989, the Shipyard was designated as San Francisco’s only federal Superfund site under the Comprehensive Environmental Response, Compensation, and Liability Act (CERCLA). An independent analysis of the Shipyard site has shown the presence of extremely toxic contamination including radionuclides, VOCs (volatile organic compounds) – such as benzene, carbon tetrachloride, chloroform, naphthalene, tetrachloroethane and others – semi-volatile organic compounds, petroleum hydrocarbons, polycyclic aromatic hydrocarbons, PCBs, pesticides, heavy metals – arsenic, beryllium, chromium, chromium VI, lead, manganese, mercury, and nickel – and asbestos. Asthma, breast cancer and other respiratory illnesses are among the health impacts reported by Bayview residents living close to the Superfund site. Previous articleDo you have a story for the new documentary, ‘People with Disabilities and Police Brutality’? Next articleThe politically conscious gather for Cynthia McKinney – but where are all the youth? game against the Boston Red Sox baseball team as well as himself. The past is the past and are in a major metropolitan area. The Mission of the San Francisco Department of Public Health (SFDPH) is to protect and promote the health of all San Franciscans.